TGIF! 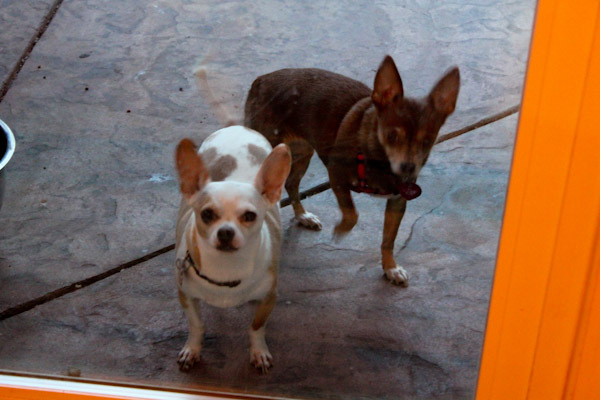 The pups agree, but they’re getting a little tired of all the rain we’ve been getting. I’m not, bring it! We need more! But I don’t need any more beets, I’m still working through the huge bunch we got in the last farm box even after adding chunks to smoothies every morning this week. 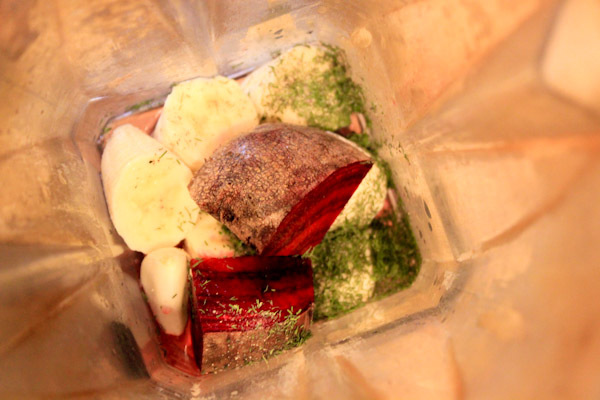 So here’s another creamy dill beet salad dressing. This is a lighter version that gets it’s creaminess and slight sweetness from a banana and has no added oil. 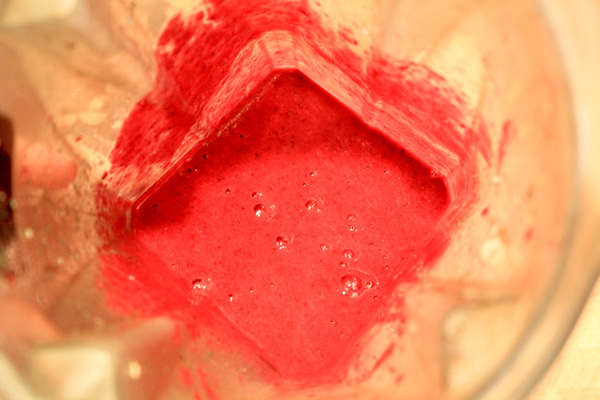 Place all ingredients into a high speed blender and blend to a smooth and creamy texture. Use as a dressing or dip. Makes 4 servings. Love that vibrant pick color! 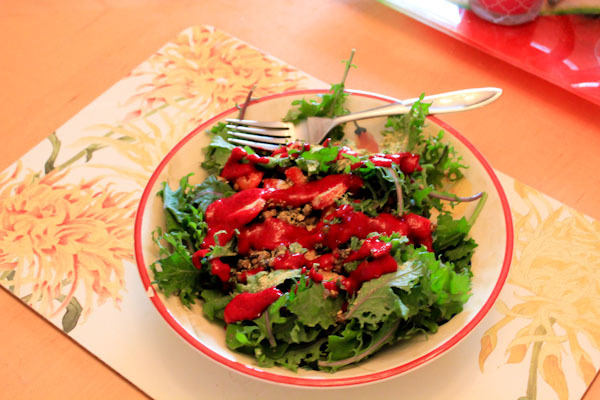 And it really added flare to a simple kale, lentil, and radish salad. The dressing has a smooth and creamy texture with a nice balance between sweetness and tangy zing from the vinegar and garlic for a simple list of ingredients. And Happy Friday! I’m ready for the weekend after a looooong week, I need some chill time and time to catch up on house stuff. Looks like this will be a perfect indoor rainy weekend to do that! 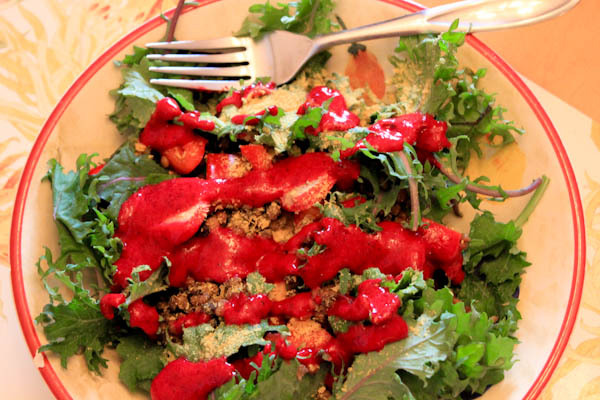 That salad and salad dressing are both so colorful and go perfectly together! That’s great about blogging, I’ve been on a bit of a break after an odd weekend. Still raining here which is great and snow in the foothills.